Dr Jengo's World: It's August and Death is coming! It's August! Oh how time flies.. It seemed like it was the start of the year a few months back. 2012 came around and one of my most anticipated games of the year was Darksiders 2. After playing the first game, I was all ready for the next game in this franchise. The protagonist was bound to be another of the horseman and true enough, this time we were gonna play as Death, brother of War. As much as I'm excited to play the game, there was also some else I was looking out for. A Death statue. More precisely, a Death and Despair Statue. 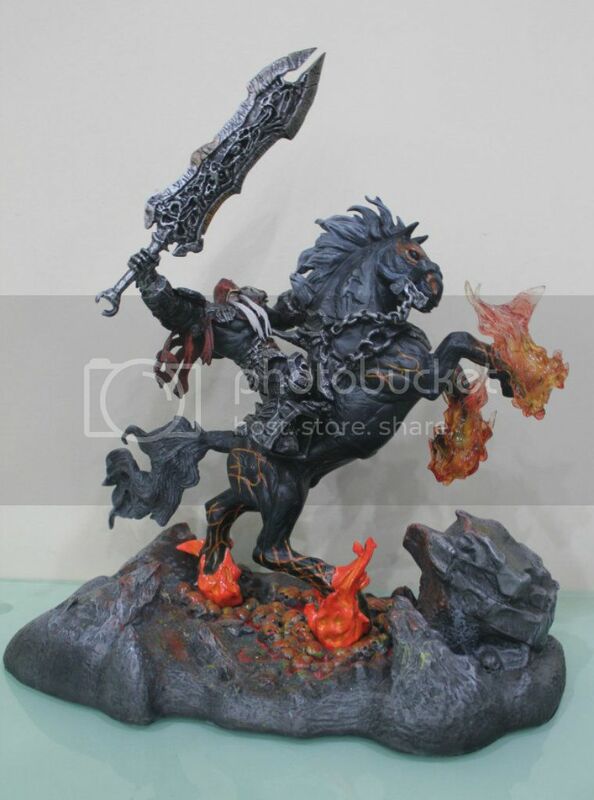 Just like the first Darksiders game, after getting this War and Ruin statue, I started wishing for similar ones of all the other horsemen. Month after month kept passing and no sign of my wish coming true, until SDCC 2012. There had to be some kind of news about a Death statue. I went to website after website, forum after forum until I came aross this. It's the only photo I have seen of the Death statue from SOTA toys and I'm ecstatic. The sculpt looks great and it's going to be a wonderful companion piece to War. Hopefully it will be out soon. Of course, there is the other Death statue from Project Triforce. One of the major complaints about the War and Ruin statue was that War itself was too small and that many would have preferred a statue of War on his own. That's a fair argument I must say. Yes to be honest, War does look a little small but would I have swapped that choice for a War statue without Ruin? 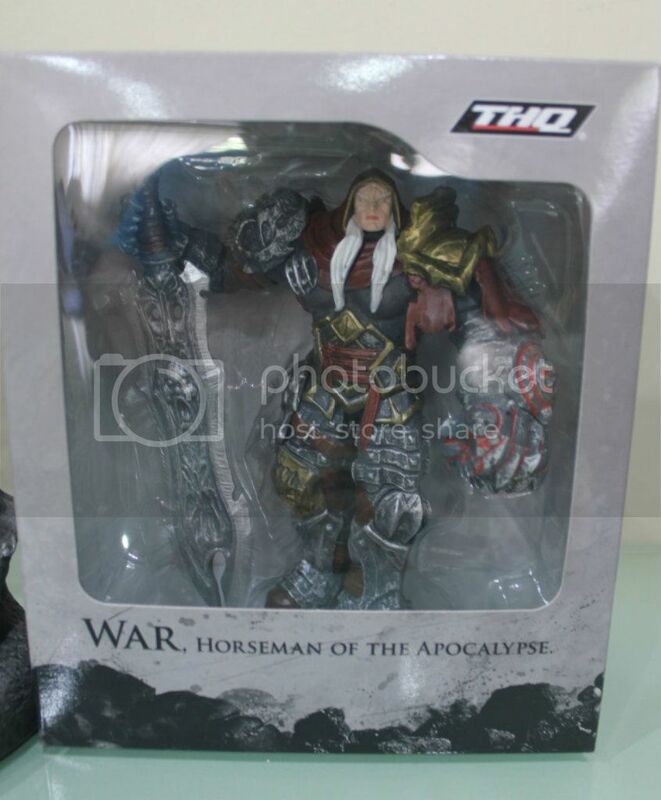 Definitely not, these are the Horsemen of the Apocalypse, not the Men of the Apocalypse. They had to have at least their trusty steeds. But of course, I'm not saying there shouldn't be a statue of Death or War on their own. More choices is always great! War needs his own piece too. So I'm definitely eager to see what's in store from both companies for Darksiders. Speaking of companion pieces.. Is he going to get one? The statue of Death on Despair looks amazing. 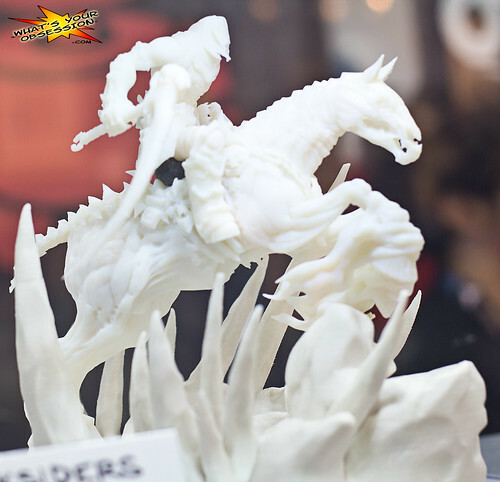 How do you know it will be made by Sota Toys? Besides, it's the only picture I could found on the internet and I can't find any threads talking about this. Hi, thanks for reading. The photo was actually taken by someone who visited the SDCC 2012 convention. According to him, this was made by SOTA toys. It probably was in their booth I guess. I also posted this link on SOTA toy's Facebook page and they didn't say that this was not their product. Cheers!